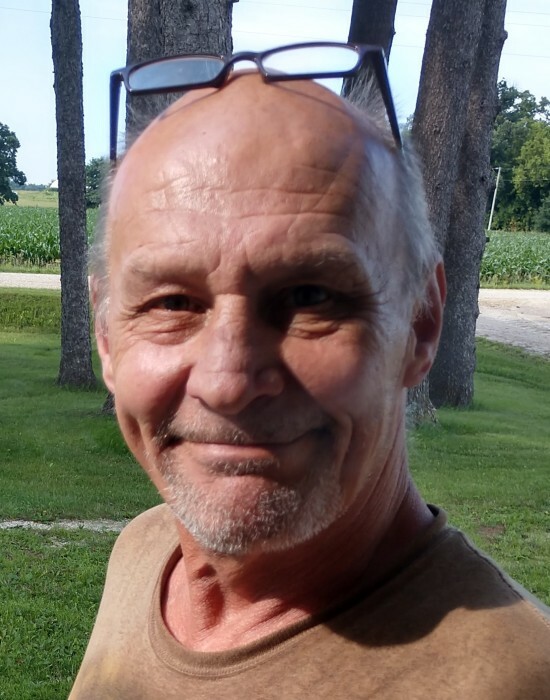 Rick Fenske, 59, died Saturday, January 26th, 2019 at his home in Ostrander, MN. A visitation will be held at Hindt-Hudek Funeral Home in Cresco, IA on Monday, February 4, 2019 from 4:00 to 7:00 p.m., with a memorial service at 6:30 p.m. Inurnment will be in New Oregon Cemetery at a later date. Richard “Rick” Dean Fenske was born July 2nd, 1959, in Cresco, the son of William J. and Rosella G. (Opat) Fenske. After attending high school, he worked at Huntting Elevator and moved on to Alum-Line where he worked until his health changed. Rick met the love of his life, Karen Start, in 1994. He was a lover of the outdoors, spending much time fishing, canoeing, camping and photographing nature. He shared many pictures of flowers, birds, and animals with his many friends and family. He also enjoyed cooking and baking. Rick was a hardworking, kind and generous man always willing to lend a helping hand to all those in need. Along with his love for Karen, he was very caring especially when it came to friends, family, and his dog Rosie. He is survived by his life partner, Karen Start of Ostrander; his daughter Ruby (Shawn) Erickson of Cresco; Karen’s children Stephanie Start of Ostrander, MN, Jim (fiancé Gabby) Start of Rochester, MN, Kari (Jake) Start of St. Ansgar, IA, Darren (Tammy) Start of Ostrander, MN, nine grandchildren (with one on the way) and one great-granddaughter; his mother, Rose Fenske of Cresco; siblings, Shirley (John) McKinley of Rochester, MN., Linda Hovey (Darwin Sorge) of Cresco, Betty (Allen) Leitz of Tomahawk, WI., Dale (Candy) of Cresco, Barb (Dale) Lickteig of Cresco, Connie (Dale) Burnikel of Protivin, Dan of Charles City and many nieces and nephews. Rick was preceded in death by his father William; two brothers Floyd and John; his paternal grandparents Ruth D. and Henry T. Fenske; maternal grandparents Frank J. and Elisa O. Opat and Karen’s parents Walter and Mayme Rendahl.